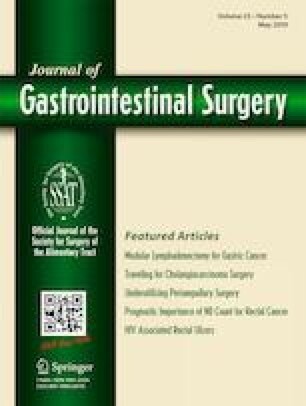 A Preoperative Prognostic Scoring System to Predict Prognosis for Resectable Pancreatic Cancer: Who Will Benefit from Upfront Surgery? Upfront surgery is recommended in patients with potentially resectable pancreatic ductal adenocarcinoma (R-PDAC) by National Comprehensive Center Network (NCCN) guidelines. However, even among R-PDACs, there is a subset that demonstrates extremely poor prognosis. The purpose of this study was to identify preoperative prognostic factors for upfront surgical resection of R-PDACs. The records of 278 consecutive patients with PDAC who underwent curative resection between 2001 and 2015 in a single institution were retrospectively reviewed. Preoperative factors to predict prognosis in patients with R-PDAC according to the NCCN guidelines were analyzed. Of the 278 patients who underwent resection, 153 R-PDACs received upfront surgery with a median survival time (MST) of 26.4 months. Tumor location (pancreatic head) (odds ratio [OR] 1.97, 95% confidence interval [CI] 1.14–3.40; P = 0.015), preoperative cancer antigen 19–9 (CA19–9) > 100 U/mL (OR 1.92, 1.31–2.80; P = 0.0009), and tumor size > 20 mm (OR 1.50, 1.02–2.19; P = 0.038) were identified as preoperative independent predictive risk factors for poor prognosis in patients with R-PDACs. In the patients with R-PDAC, 5-year survival was 60.7%, 21.5%, and 0% in patients with 0, 1 or 2, and 3 risk factors, respectively. There were significant differences in overall survival between the three groups (P < .0001). A preoperative prognostic scoring system using preoperative tumor location, tumor size, and CA19-9 enables preoperative prediction of prognosis and facilitates selection of appropriate treatment for resectable pancreatic cancer. The online version of this article ( https://doi.org/10.1007/s11605-018-3972-x) contains supplementary material, which is available to authorized users. Substantial contributions to the conception or design of the work; or the acquisition, analysis, or interpretation of data for the work: Toru Nakamura, Toshimichi Asano, Keisuke Okamura, Takahiro Tsuchikawa, Takehiro Noji, Yoshitsugu Nakanishi, Kimitaka Tanaka, Soichi Murakami, Yuma Ebihara, Yo Kurashima, Toshiaki Shichinohe. Drafting the work or revising it critically for important intellectual content: Toru Nakamura. Final approval of the version to be submitted: Toru Nakamura, Satoshi Hirano. Agreement to be accountable for all aspects of the work in ensuring that questions related to the accuracy or integrity of any part of the work are appropriately investigated and resolved: Toru Nakamura, Satoshi Hirano. This study was conducted in accordance with the ethical standards of the Committee on Human Experimentation of our institution and was approved by the Institutional Review Board of Hokkaido University Hospital (No. 017-0363). National Comprehensive Cancer Network. NCCN practice guidelines for pancreatic cancer, version 2. Available from: http://www.nccn.org/professionals/physician_gls/recently_ updated.asp.